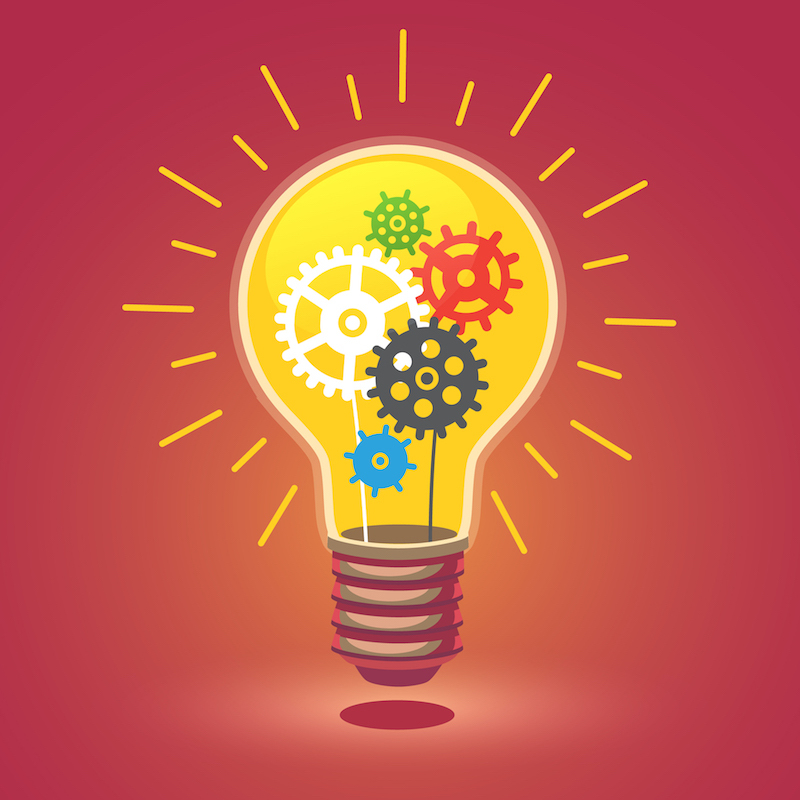 PO matching, or matching invoices, purchase orders and goods receipts is always a challenge for growing companies. For one, if the process is paper driven, the process is prone to error and considerable mind-numbing effort hunting down all the relevant information. Data has to matched by physically examining each and every document, line by line. Some invoices have over 100 lines. It’s not like reading a letter or other document that has variations, titles, and pictures, but closer to scanning a dry list of serial numbers – headache inducing at the best of times. Secondly, because of all the people involved in a purchase, there is much finger-pointing over which department (or approver) is causing a bottleneck, or is responsible for mistakes. We have helped the following innovative companies who are using NetSuite automate their PO matching with EchoVera’s ASAP for NetSuite. 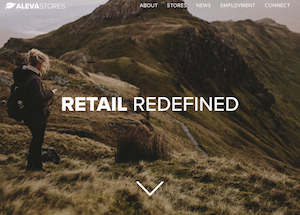 They’ve benefited from having an approval workflow for exceptions that utilizes email approvals to make it easy, and automation that matches invoices, POs, and goods receipts. In every case they have decided their teams have better things to do than trudge through the matching process manually – a very common practice in many companies without the technology. As well, AP is no longer blamed for not keeping the process moving, as the invoice status can be viewed 24/7 in real time, showing exactly where the holdup is. Roivant is a pharmaceutical company with over 70 subsidiaries. 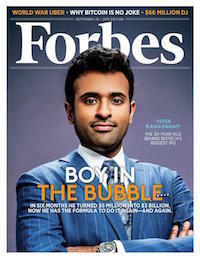 The high profile firm landed a $1.1 Billion investment by SoftBank and develops late stage drugs. The investment by SoftBank was one of the largest private financing rounds in history for a healthcare company. Pharmaceutical firms abandon promising drugs for various reasons that have nothing to do with their efficacy. Roivant’s subsidiaries complete the development of overlooked drug candidates and try to get them to market quickly. Although their recent drug for Alzheimers has not panned out, there are many potential winners in the pipeline. With a dozen different subsidiaries the company needed to automate PO matching and increase their operational efficiency. Roivant receives PDF invoices and PDFs of scanned invoice images. They are matching service and product POs as well as invoices and goods receipts. Once the PO is created, it is auto delivered. Whatever lines are available on the PO are used. As an example, 30 lines on one invoice have to be rolled up into one line. 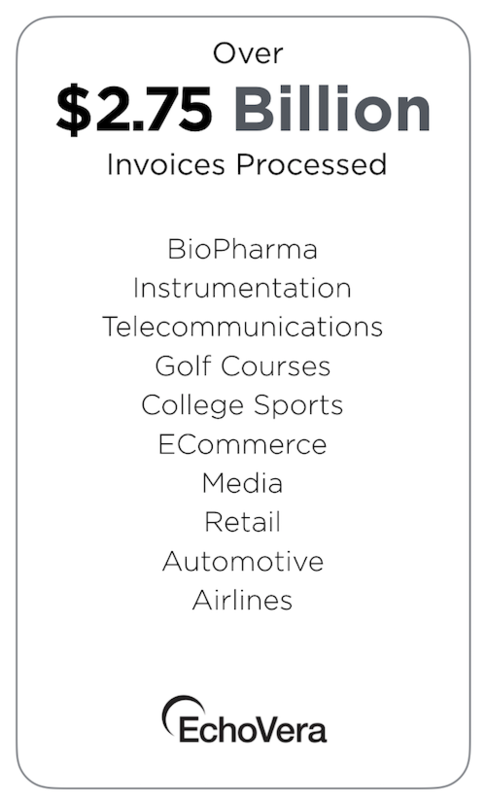 Most of the invoices are “pass-through invoices” with up to 300 lines of items. Aleva Stores began in 1957 as a small prosthetics manufacturer in Pontiac, Michigan. Over the last 60 years, the Gaskins family has upheld the values established by founder Joseph Gaskins, creating a family of retail brands that specialize in foot, leg and orthopedic care. Some of the online stores include Sock Addicts, Pike to Peak, and Doc Ortho. With warehouse space of over 60,000 square feet and sales north of $30M annually, Aleva was looking to automate the PO matching process and optimize their AP processes. What they are matching: Aleva receives invoices in the format of PDF and PDFs of scanned invoice images. They match merchandise purchase orders to invoices and goods receipts. Aleva issues a PO, receives an invoice from the supplier and a goods receipt from the warehouse. Some invoices have over 100 lines and up to 20 pages. Find out more about EchoVera ASAP PO Matching for NetSuite here. The Boston Globe is an American daily newspaper founded in Boston, Massachusetts in 1872. In 1993 it became a wholly owned subsidiary of The New York Times Company when the Times acquired Affiliated Publications for $1.1 Billion. In 2013, Boston Red Sox owner John Henry was part of a group that bid $70 million to buy the paper, and remains in place as the owner today. 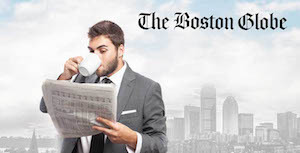 The Boston Globe hosts 28 blogs covering a variety of topics including Boston sports, local politics and the paper’s opinion writers. The Globe wanted to reduce its reliance on paper processes and digitally transform the back office. They turned to EchoVera ASAP to automate PO matching. The Globe receives invoices in PDF format from its suppliers, including scanned images in PDF format. It matches between service and product purchase orders and invoices. Matching is done by approvers in the email approval workflow. The VIKOW Group is based in Barcelona in Spain. It’s a group of digital companies offering a range of services and products around ecommerce. One of its properties is Ulabox, which operates as an online supermarket of food, groceries, beverages, household and personal care products. Ulabox was incorporated in 2010 and has received several funding rounds totalling €5,750,000. With around 7,000 deliveries per week from a range of 20,000 products, the highly automated internet company relies on data to review the cost of orders, deliveries, profitability and business data. Ulabox needed the best technology for PO matching and AP automation. Ulabox receives PDF invoices from their suppliers, and well as PDFs of scanned invoice images. EchoVera ASAP is matching merchandise purchase orders, external purchase orders from their fresh food system (which is separate from NetSuite), as well as invoices and goods receipts. Transtelco provides telecommunication solutions for carriers, enterprises, and small to medium businesses in the United States and Mexico. 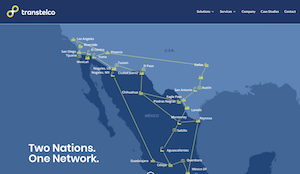 Cofounded by Miguel Fernandex in 2001, it provides voice and data services to Fortune 1000 companies with a fiber optic network that spans 10,000 kilometres between both countries. It recently raised new debt capital from Deutsche Bank in order to fund new opportunities. Mr. Fernandex has been featured in the Huffington Post dispelling the myths of the Mexican – U.S. border. The company reached out to EchoVera for help with automating their AP and matching POs. Transtelco receives PDF invoices, Excel and MS Word invoices, and images scanned as a PDF. ASAP matches product purchase orders, service purchase orders, invoices and goods receipts.